Bracelets and bicycles. Today’s feature items will make your head spin with excitement as if it were the wheels of a bike racing in the Tour de France! 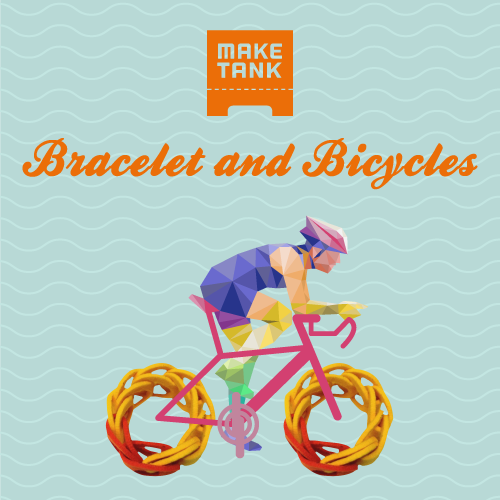 Here are some of the best bracelets that will make for very fashionable accessories since they cannot actually be used as wheels! First, the “Chain, Bracelet in Lasercut Felt” (€25.00) in orange is an extremely unique and artful piece of jewelry. Felt is used and laser cut into a bracelet that resembles a chain – much prettier than the chains on the wheels of a bike of course! This bracelet is great in the orange hue to brighten your outfit and make a statement with your jewelry. Other colors available include light grey, coffee, yellow, and light green. “Stratosfero N – 3D Printed Black Bracelet” (€48.00) is another visually interesting bracelet that will catch the eye of anyone who sees it. The original and innovative layered texture created by a desktop 3D printer with FDM technology and ABS plastic forms a one-of-a-kind accessory that you don’t want to miss out on! “Bangle ONE – Anchor” (€9.36) is a set of 3 bracelets, solely made in Italy, formed from transparent plexiglass. This colorful and youthful set, designed with a pattern of anchors, creates a summertime accessory that adds a bit of fun to any ordinary or occasioned outfit! Available in several varieties of colors and patterns, find the one that suits you best! For a bracelet that can dress up any outfit with sophistication and intrigue, choose “Uccello’s Nest Steel, Bracelet 3D Printed (Stainless Steel)” (€180.00). This bracelet, 3D printed from stainless steel, is durable and beautifully crafted. Inspired by the Paolo Uccello’s drawing of “Mazzocchio,” which is kept in the Uffizi Gallery in Florence, the bracelet reflects the artwork’s geometric composition. Each one of the bracelets is unique as the number of points and how they are interconnected will vary with the geometry. This fashionable bracelet will take your outfit to the next level of complexity. 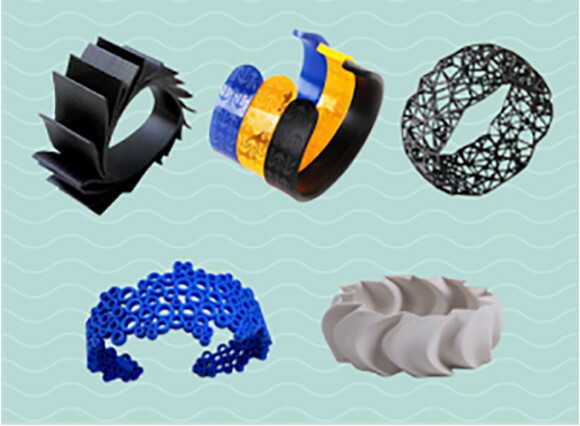 The “Sparkling Bracelet 3D Printed” (€55.00) is a lighter and energetic bracelet. Inspired by the bubbles of a good Prosecco wine, this bracelet is effervescent and the blue color especially gives the piece a lively persona. The jewel is made of nylon and is 3D printed into its exciting form. This bracelet perfectly balances a youthful energy with a delicate air to create a beautiful and interesting accessory just for you! Lastly, the “Floreal – 3D Printed Bracelet” (€19.00) is one of the most elegant and smooth bracelet designs out there. This 3D printed, meticulously designed object is formed from flexible PLA material, which enables it to be so comfortable and durable throughout many wears. In addition to its superb functionality, the visual design is beautiful, contemporary, and unique. Everyone will want to know where you found it! Find more of these fantastic new bracelets and purchase your favorites! It will be fun to imagine your new accessory additions spinning under the bicycles of those competing in the Tour de France!